School is back in session and summer vacation is now a thing of the past. However, despite my insane schedule, we did manage to see some spectacular sights, both locally and non-locally. I’m here to take you on a tour of my vacation and give you a few more things to put on your bucket list. 😀 (No pretty outfits today, just beautiful locations!) Keep in mind that pictures are unedited…straight from my camera so you can see the natural beauty of these locations. Normally we go camping in this beautiful forest, but instead opted for a last minute day trip and took my mom and brother, who had both never been. Only a few hours from where I live, Sequoia boasts the thickest (circumference around) trees in the world, a gorgeous underground cave and an interesting rock formation called Moro Rock. 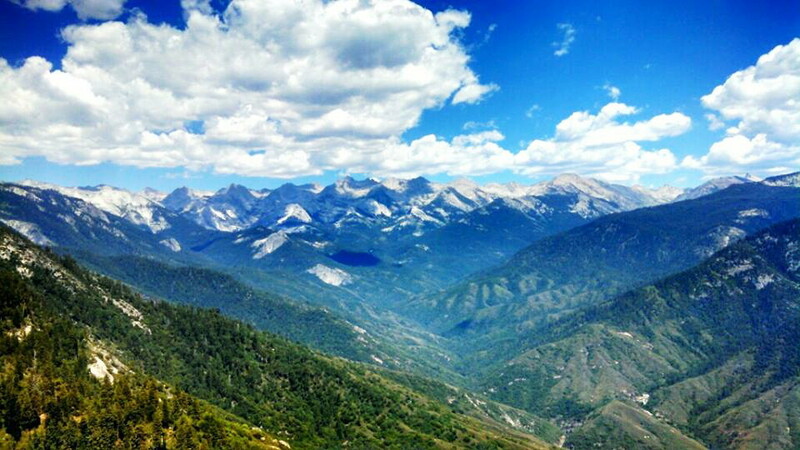 This is the view from the top of Moro Rock after a short, but steep 1/4 mile climb. It’s probably one of my favorite views that I’ve ever seen! To the east, you see the Great Western Divide (pictured above) and to the west, you can see all the way to the Pacific Ocean on a clear day. 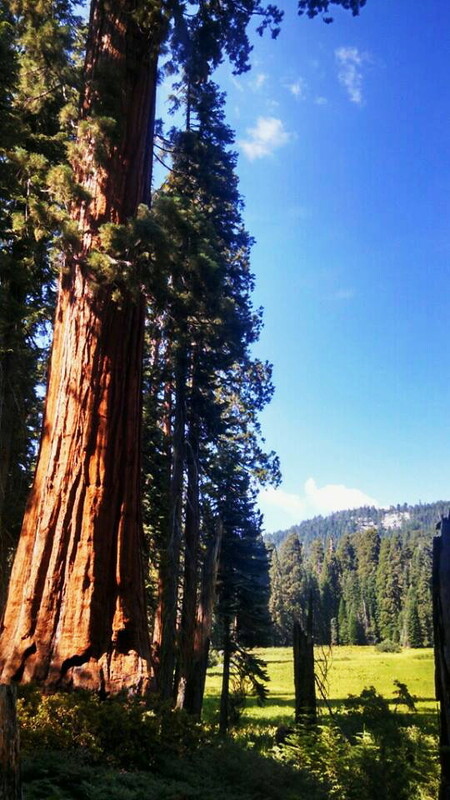 Giant Sequoia’s are seen scattered throughout the park. This is one situation along the Long Meadow loop. It doesn’t look like it in the picture, but you could probably wrap ten people with their arms spread out around the trunk. If this looks familiar, it’s because this is where I originally start shooting blog photos! We had to stop after it started to get hot down here, but hope to return in a few months when it cools down. Windowolves actually took me by surprise. Although it’s only 45 minutes from where I live, I had never even heard of it until recently. 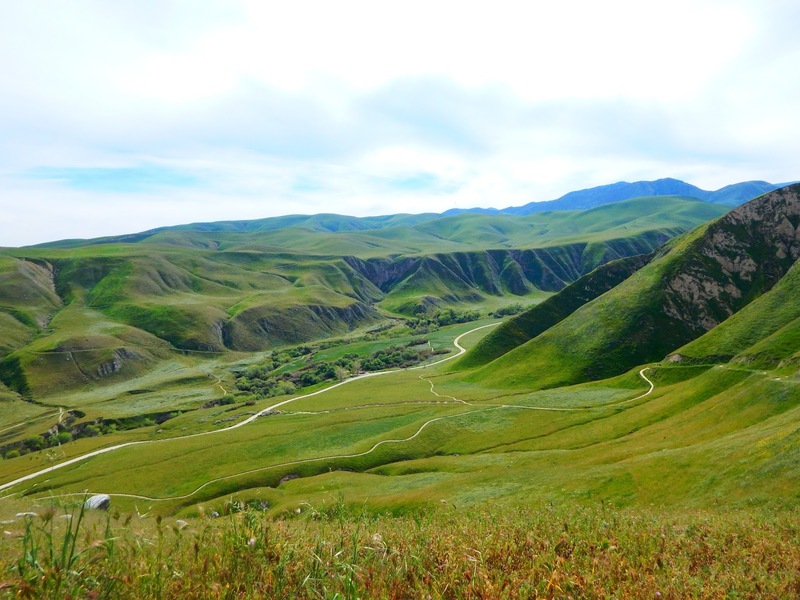 During Spring, the rolling green hills sprawl out for miles covered with various colors of wild flowers. 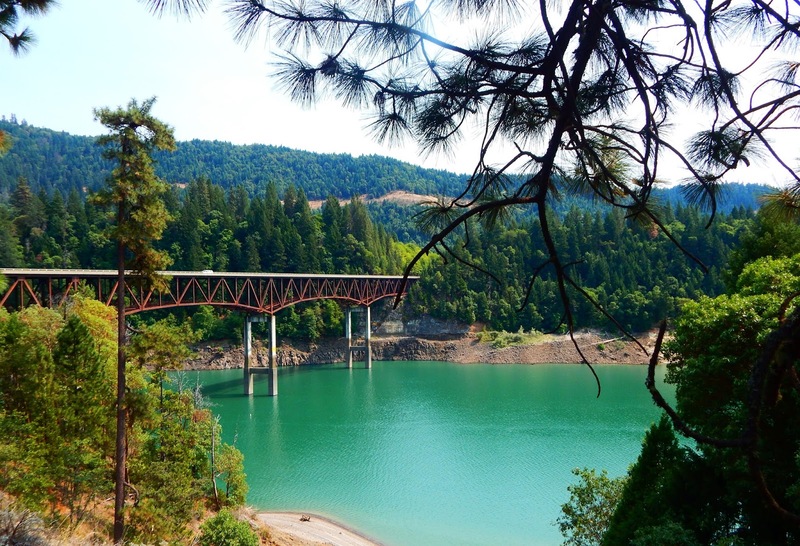 It’s now one of our favorite local hiking places…and photo spots. This was one of our bucket list things. We decided that it would be a great idea to take a random 5 hour drive to our destination and come back in one day. Not recommended, but totally doable lol! 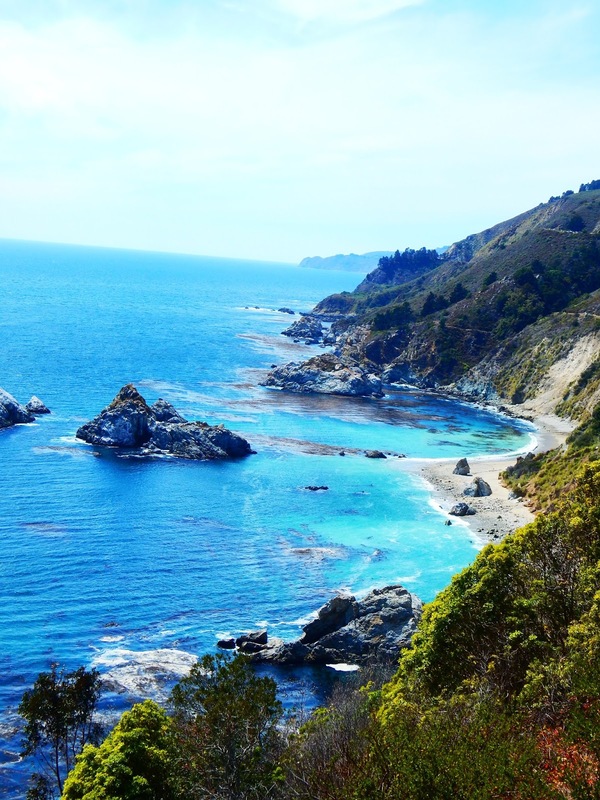 It has been said that CA-1 is the most scenic highway in the U.S…..and after seeing this, I believe it! The beaches on the southern coast are so much different, so this was a nice change. After a certain point, the water becomes an assortments of blues and the coast line becomes rugged and ever changing. To one side, you see this gorgeous coastline and on the other green hills covered with wild flowers. This is definitely a drive worth taking. Across from the forest, (a forest at the beach? YES!) you see this incredible sight that seems like something straight out of a fairytale. 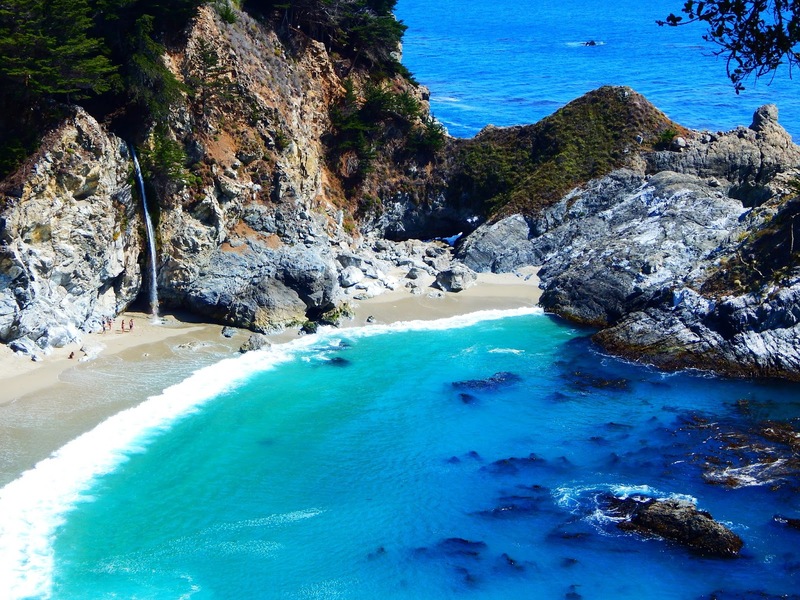 I have never seen a waterfall on a beach, but here it is. My husband and I tried every route we could to get down there, but alas there must be some hidden trail because we never did find it. 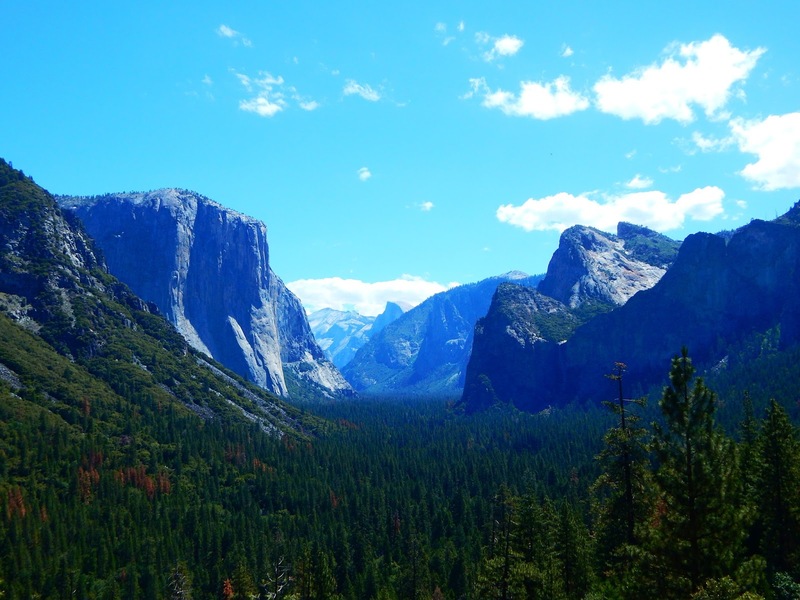 Yosemite is one of our favorite camping destinations and it seems like the favorite of so many others as well because people fly from all over the world to see these magnificent granite rock formations. The granite formations are some of the most unique in the world and tower over everything. This is the view from Glacier Point and it also another favorite view of mine. You really see everything the park has to offer. To the left, you see the glacier carved valley (where we camped) and straight ahead you see the whole park in a nutshell and the mountains seem to go on for miles and miles until they disappear into the clouds. 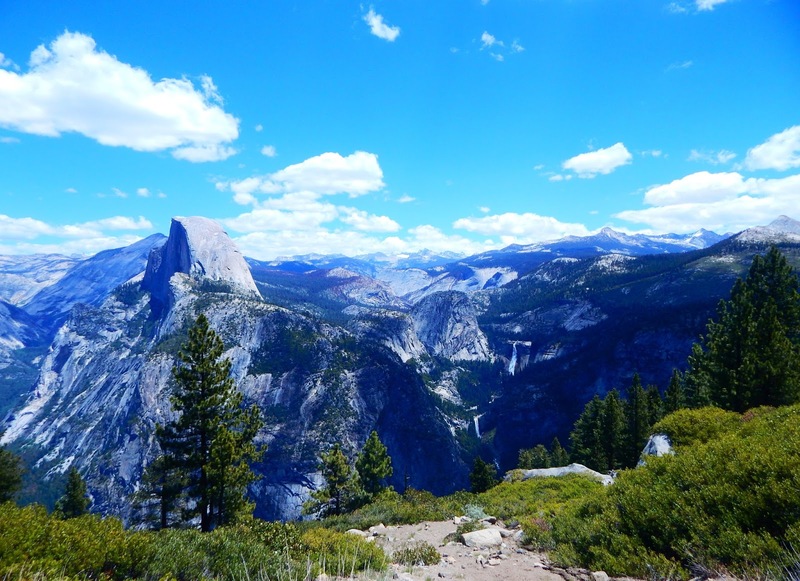 The slightly rounded rock on the left in Half Dome, one of the most famous landmarks and most strenuous hikes there is. If you closely, to the right of half dome, you will see Nevada and Vernal Falls spewing water down the mountain side. Probably the most famous view of the park is Tunnel View. This is the first thing you see upon entering the park. With all of the different rock formations, Yosemite is definitely a rock climbers paradise. If you look closely, you can see Half Dome peaking out from the other mountains. For the past few years, I have gone with my brother and sister to Santa Monica. It has become somewhat of a tradition and we go every year before school starts. 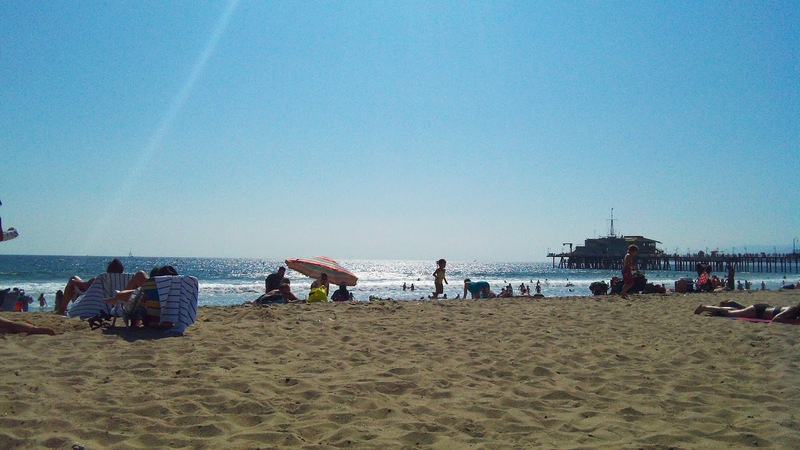 Only a few hours from where we live, Santa Monica is definitely one of my go-tos for a day at the beach (don’t be fooled…there are normally a zillion people). My brother and I normally boogie board in the ocean for hours until we get sunburned and then head to Third Street promenade for some shopping and street entertainment. 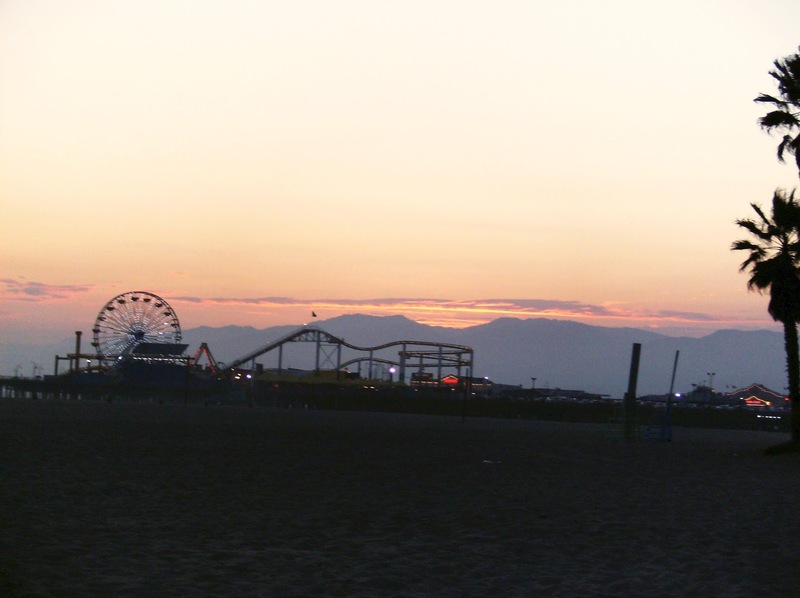 Santa Monica’s famous pier is the home of Pacific Park which boasts a rollercoaster among other rides and games. 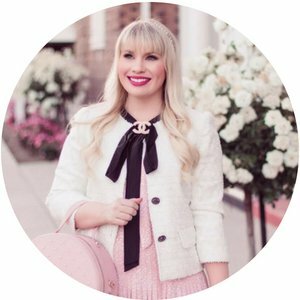 There is so much to do and a lot of fun to be had. Santa Monica does not disappoint. 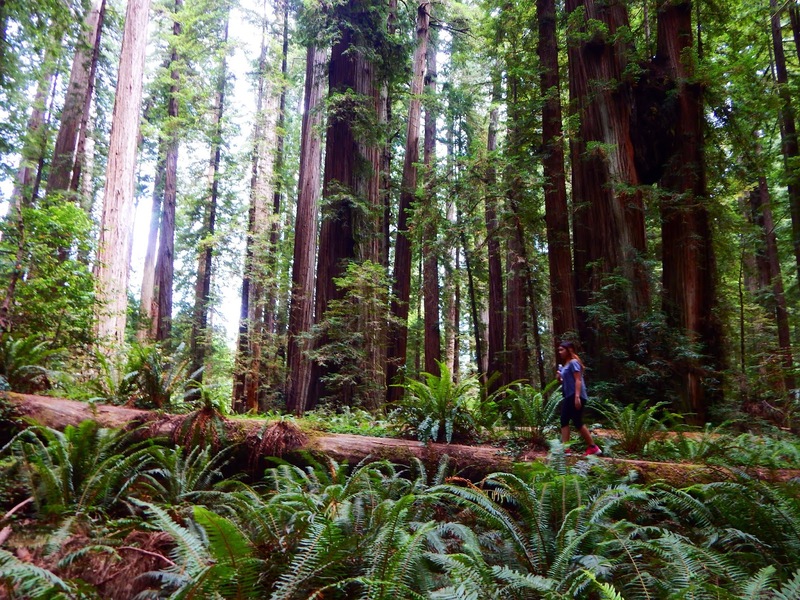 Another one of my bucket list things…this is the first time I have ever seen the redwoods and WOW are they tall! They are the oldest and tallest trees in the world and seem to stretch out to sky. This is quite a drive and is location near the coast of the California/Oregon Border. I didn’t know this but apparently, the 2nd installment of Jurassic Park was filmed here. It definitely looks like something prehistoric and is so different than any of the other national parks I have ever been to. There are SO many different types of greenery everywhere…no inch is uncovered. I saw shelf mushrooms and banana slugs for the first time. So neat! Yep, another bucket list item was to see the Northern California coast..and boy, is it totally different from southern CA. Instead of sprawled out sandy beaches, palm trees and buildings you see rocks, driftwood, cliffs and trees for miles. 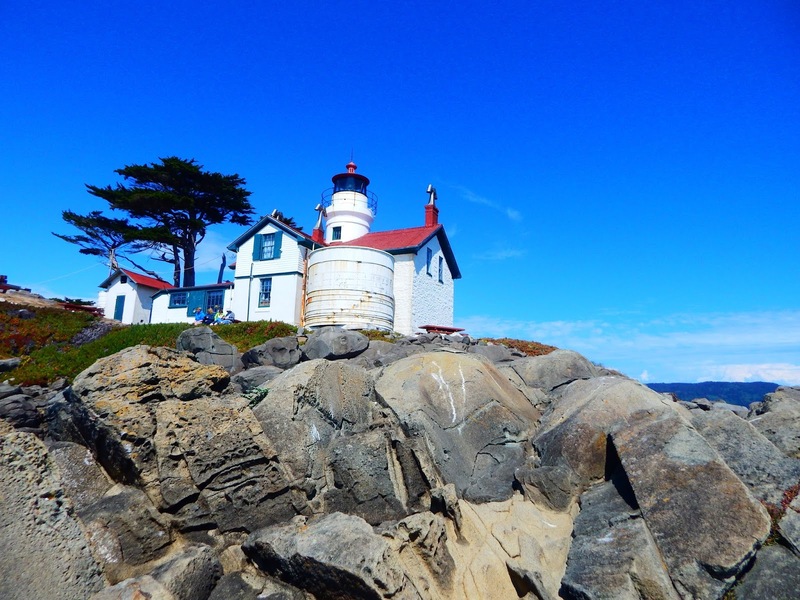 The rocky coast was a beautiful sight to see as we made our way up to the famous Battery Point lighthouse. 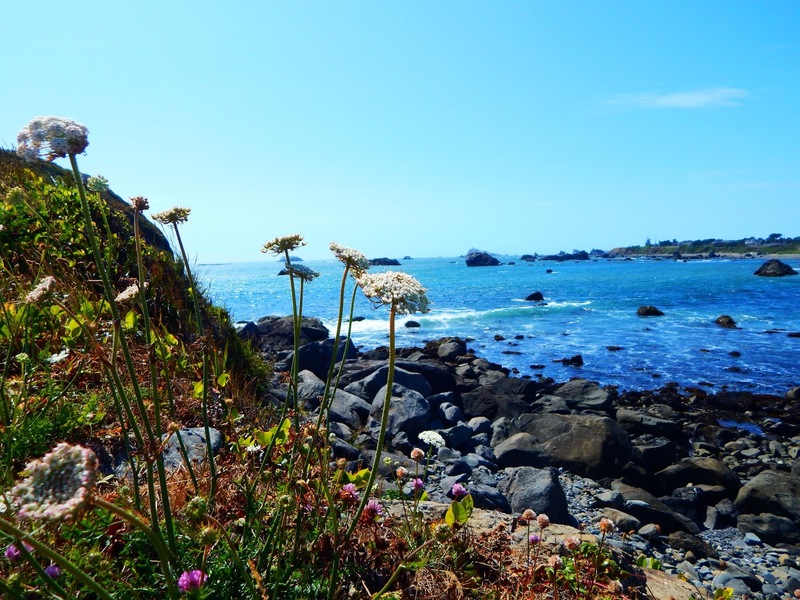 The waves seemed to crash into the rocks and cliffs that lined the ocean in a serene cadence. The Battery Point Lighthouse is gorgeous! This was my first time ever seeing a lighthouse. We had so much fun climbing the huge boulders surrounding it, although I don’t think we were supposed to…haha rebels! Andddd… a few whales were seen in the distance. So cool! 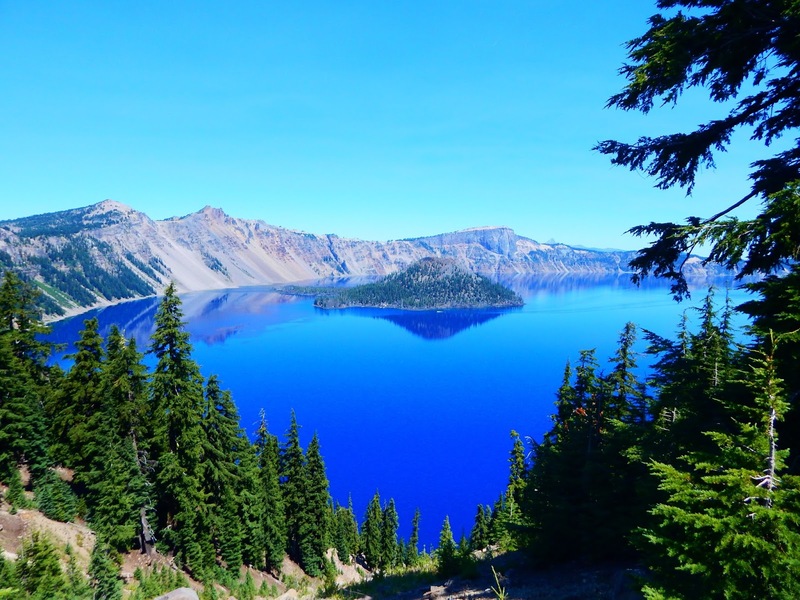 Another bucket list item was seeing this beautiful lake in person…and trust me when I say that it is gorgeous! I cannot believe that this was a volcano at one time and is now filled with rainfall and snowmelt to produce something so unusual. The most incredible thing is probably the water. 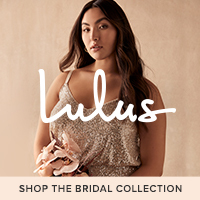 I describe the color as a silky, deep cobalt blue. The color intensity varies, but the water itself looks so smooth…almost like satin and mirrors the crater sides, surrounding trees and the famed Wizard Island. On our way to Crater lake, we saw the Rogue in action with it’s white water rapids meandering through river carved rock. This was a more calm part of the river and had such an interesting light green-blue color to it. 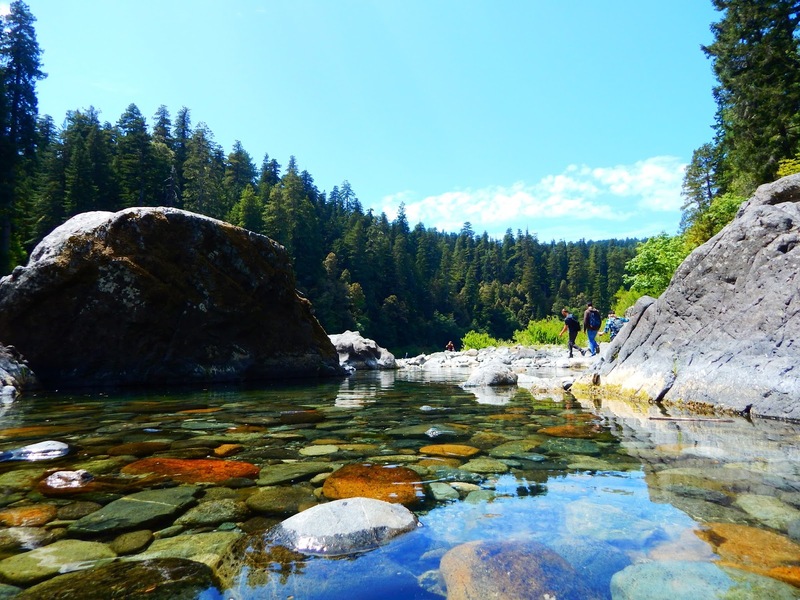 This is the river that I ultimately swam and rafted in.